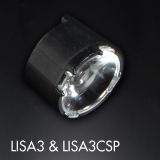 LISA, one of our longest running products, has been updated to support up to 3535 size LED packages and topside emitting CSPs. The small size allows for the creation of powerful micro luminaires or massively powerful clusters. A diverse selection of beams range from narrow spots to oval and wide. 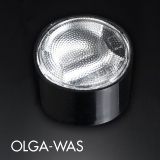 Our highly versatile OLGA product family has received two new beams. WAS for creating uniform wall-washing and RS for a tight and powerful spot beam. The RS-beam is optimized for 3535 size LED packages while all the other versions can be fitted with up to 7070 size LED packages. With an extremely narrow blade-like beam and sharp cutoff LEIA can achieve the extraordinary – an outstanding beam from a single LED source. 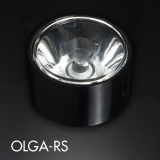 With this additional oval sublens the beam can be transformed from a single tight spot to an ultra-narrow straight line. Use the power of LEIA to unleash your creativity and defeat the dark. 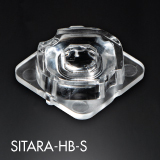 SITARA is our cost efficient lens family for flat 5050 size high-power LED packages. 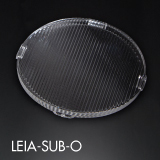 The lenses have very high efficiency and single lenses are just 18 x 18 mm in size. The new spot beam has around 35-degree beam angle to accompany the previously released M-version with around 65-degree beam. 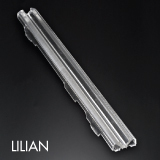 We've created a whole new narrow linear optics family for architectural lighting called LILLIAN. Made of PMMA this exciting new narrow linear optic family delivers great wall washing for architectural lighting projects and are easy to install with integrated installation clips. We’d like to introduce you to some great new members of our versatile JENNY product family. Our designers have been busy and come up with one new asymmetrical and three new symmetrical NEMA 3, 4 and 5 compliant beams.